**Due to requests, I will be reposting our God’s Little Explorers Preschool lessons again each week before the optional recommended schedule. You can see the schedule ideas here. If you want to follow along with us, we’d love to have you! Each week, I will share a few photos and links from a few of the activities we did. At the end of each post, I’ll share the link to the downloadable lesson plans. The printable lesson plans will have more than I’ve included in the post, but I wanted to give you an overview of what we did. This week’s theme for God’s Little Explorers is “X” Marks the Spot. This is really a kick-off week! We won’t be exploring any particular Bible stories this week. It is basically setting up the supplies and getting ready for our study in God’s Word and World for the year. Go on an “X” Marks the Spot Treasure Hunt for the supplies to fill the Explorer’s Kit (see below). Mark the hiding places with tape or paper X’s. Decorate an “Explorer’s Kit” to hold supplies (school supplies, flashlight, binoculars, Read And Learn Bible , etc.) for our adventures. We used a drink carrier and covered it with construction paper, stickers, and added my daughter’s name. We also covered it with contact paper so it will last longer. You could also use a shoe box or other small box. Make an “X Marks the Spot” Cracker snack. Talk about rectangles and the sound of the letter x (“ks”) while you make them. Make small x’s all over the printable X (found in the download below). Cut-out and hang. We’ll be adding a new letter weekly to this area. Make a treasure map from a large grocery sack to record the adventures along the way. Each week, we’ll add a visual reminder for the week. This week, my daughter drew a rectangle on one-half of an index card and added the word Bible. We put it at the beginning of the map and drew an X at the end of the map. Glue together jumbo craft sticks to make X’s. Draw a tic-tac-toe board with sidewalk chalk and use five of the craft stick x’s along with five rocks to play tic-tac-toe outdoors. Make an Alphabet Book from a cheap notebook (or put together 27 blank pages and make a book). See the lesson plans for how we will utilize it. Make an X pencil topper. Create some magnetic craft sticks to build rectangles. See the other recommended resources for week 1 over on the God’s Little Explorer Resource Page. 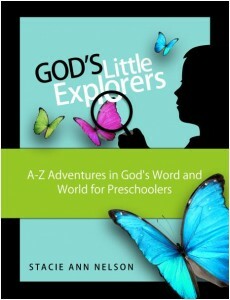 Download God’s Little Explorers Preschool Curriculum WEEK 1 Lesson Plans here. Please note: There is a typo on the Letter of the Week — it should say X, but it says A.
I tried to download the lesson plan, but when I open it the first 3 pages appear scrambled? You might go back to the post and try the alternate download I just added. I’m unsure what is going on for a few of you — do you use a Mac? If you are unable to get it, feel free to email me and I will send it to you. Thanks! Definitely signing up for the emails! Thanks again! The “x” activities look like something all my boys will enjoy! I added another upload to see if that solved the issue for my Mac users. You might look at the post and try the alternate download. If you can’t get it, feel free to send me an email and I’ll send you the download that way. Thank you Stacie!! This is amazing!! This is going to work great for us and I’m very excited to begin this with my daughter. I clicked the download link for week 1 but it showed up blurry. I cannot read any of what it says. Am I doing something wrong? Downloaded Adobe Acrobat Reader and used that…it worked just fine. 🙂 Thanks so much for all your hard work!! Thanks for all the help! I think I figured out the embed problem! This is awesome!! Thank you so much for sharing this, I can’t wait for more. Love your ideas and plan. This will work great for my youngest and our co-op class. Thanks so much for sharing! I was wondering what age these lessons are geared for? My son will be 3 in November. Do you think most of these lessons will be above that level? Hi, Elizabeth! They are aimed at 3-4 year olds. I tried to make everything pretty adaptable to the various ages since all preschoolers differ so much in abilities. Feel free to add or change ideas depending on your own child! Hi Stacie, thank you so much for sharing this, with all of us!! After 8 years of doing home daycare, I have decided to stay home (temporarily close the daycare) with my 4 years old till he goes to school for kindegarten next year. I have always done a curriculum with them, but this is great for the one on one time I will have with him, and I am so happy it is Biblically based! Hi, Kristie! Thanks so much for your encouragement! I hope you have a great time with it and just soak up the time with your son. What a blessing to be able to spend that time with him! I just want to tell you how wonderful I think your curriculum is. I’ve read through the first several lessons and let my son look through some of the pictures on here and he was sooo excited! We can’t wait to start tomorrow. I taught 8th grade so I can see how much work you have done on this. Thank you so much for sharing! Thank you so much, Erika! I hope you’ll have fun with it and learn about God’s Word together! We finished our week of X Marks the Spot. My girls had fun, and love making the letter X.
I love your ideas and the preschool material, God’s little Explorers! Is there anything for four year olds who already know their alphabet well? I did this with a four year old who knew her letters. I added in a simple reading program and some handwriting practice! You may also want to consider starting a kindergarten curriculum with them (like My Father’s World) if you feel that they are ready. I really wrote the curriculum so it could be changed and adapted as fits your child! We just started Week 1 on Monday, and my daughter (who will be 4 in a few weeks) LOVES homeschool 🙂 She went to preschool last year two days a week, but this year I wanted to keep her home and see how it went before “real school” rolls around next year. The treasure hunt theme has gone so well…I think we’ve had at least 7 or 8 treasure hunts this week, one ending with a “pirate booty” snack and another ending with an X on the tub where a bubble bath was waiting. Thanks so much for putting this all together. The projects and activities are all easy to do, but I can tell how much time and effort you put into organizing it. Many blessings to you! We had a great first week of preschool using God’s Little Explorers! Thanks so much for putting this together! I am excited to use your preschool curriculum! I subscribed but did not receive the activation email. I bought your booklet and am looking forward to continuing the journey! I have a 2.5 year old who is super smart and I have been looking online for weeks for a good, easy to use, bible oriented curriculum to start homeschooling her at least for her preschool years. Mind you, I am a teacher myself, but I’m a math high school teacher, so when it comes to teaching a preschooler I am literally LOST! But in this “God’s Little Explorers” curriculum I find everything I need step by step. I am so excited to begin! I know it will require lots of patience and prayer as I am a working mom so I will be working on this in the afternoons after I teach my high school students and I also have an 8th month old baby, but God is my strength and I will do it with his help. Thanks so much for providing this for us! aprox 23 in color, all 3 hole punched for that price. I just purchased the preschool curriculum and can’t wait to start it with my daughter next month! I am amazed at how much work you put into this. It’s clearly not just a curriculum, it’s your heart and passion. Thank you so much for sharing it! My husband and I are thrilled we found something biblically based that seems fun and organized! Schooling isn’t going to just be about learning, it’s going to be fun 🙂 Thank you again so much! I recently purchased your curriculum to use with my preschool program at church. I’m anxious to get started, but confused as to how I receive my curriculum. Since I bought the $35 version that gives me the rights to use it in a classroom setting, where will I find all of these materials? Is there a link to download this version? Thank you for your quick response! I can’t seem to find the email :(. Would you mind resending? Thank you so much for your help! I seem to be having troubles contacting you via email. I still have not received your download and I purchased it several weeks ago :(. I would really like to get started planning. Could you PLEASE contact me or just resend me the download link? Thank you so much!! I reactivated and sent the download link three days ago. I also just resent it. You might want to check your spam because it appears my emails must be going to your junk mail folder! I’m not sure what is going on… I’ve checked and checked BOTH of my email addresses and junk mail, and nothing seems to be turning up :(. I’ve looked under eJunkie, motherhoodonadime, and Stacie Nelson, and still NOTHING. Is it eJunkie that I should be looking for? Ugh! I’m sorry to be such a pain! I’m just SO looking forward to using your curriculum and can’t figure out how to get started :(. Do you have any other email you can use to email me with? I really don’t know what to do because I’ve responded and resent several times. I just tried resending it again. Great idea, Stacie! I just sent you a FB message. Thank you again for your help! Hi, thanks for this I have just started the first week and my three year old and I are really enjoying it! I’m so excited to go through this especially as we explore the idea of homeschooling, it’s great to have a curriculum to follow! I Love your site and Love what you do with our kids. My printer went down. Would you be willing to print our lesson plans and send them through mail. I can pay you for the plans and printing them! Unfortunately, I don’t have the time or a good enough printer to print them for you, but if you’ve purchased the download version, just send me an email and you can get permission to print them at Staples. I used this curriculum with my very precocious daughter 2 years ago and we loved it! Just wanted you to know that we’re back again, going through it a second time alongside her brother. My oldest is almost 5.5 now and we’ve continued to homeschool – she’s working on 1st grade this year! She obviously won’t be doing all of the activities with us, but I love that we can all start the day with God and some common Bible-based activities. Thanks so much for the blessing of your hard work! Bah! Sorry – autocorrect didn’t like “Stacie.” 🙂 Thanks again. Thank you for your encouraging words! It’s so awesome to me that even years after I wrote it, people are still using it and making great memories with their kids! I just started your curriculum this week and I love it, but I’m having a hard time finding the letter x printable. Or any of the alphabet printables. Can someone direct me to the right place? Thank you. Any printables for the free version are included in the lesson plan download at the bottom of each lesson. 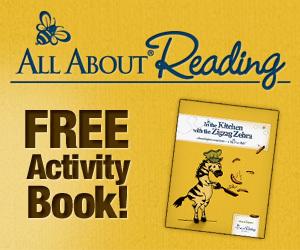 If you’ve purchased the curriculum, all printables are in the back of the download. Hope that helps! Thank you! I hadn’t scrolled down that far yet. My daughter is loving the curriculum. We started yesterday. This morning she asked when we get to do preschool! Apologies if you answer this within the blog, but I have not run across it. I know that your cirriculum is intended for preschool, but can you give an age range. I am looking for something to enhance my day with my 4.5 year old. We opted out of VPK this year and I was hoping to supplment. Would this be approriate for his age? I recommend anywhere from about ages 2.5-5. Of course, it can always be adapted as needed! Thank you so much for your material. You have truly blessed my family with this great curriculum. Hi! I was wondering if you have a list of supplies that coincide with your preschool curriculum? I’m thinking/praying about starting/purchasing this soon! I actually did not put together a supply list on purpose since the plans are flexible and designed to be incorporated into your family as you feel best. Because there are multiple activities each week that you can choose from, it was difficult to figure out what to include. If you do purchase the curriculum, there are people who have shared their lists in the FB group! I enjoyed doing your curriculum with my oldest son last year! I was preparing to do it with my next son this year, and noticed we lost everything that we had downloaded onto our desktop, including the curriculum I bought. 🙁 I bought it around July/August last year. Can I be given a code or link or something to the curriculum? I’d love to use it again this year! Thanks in advance! If you can send me the Paypal email you used to purchase it with, I can reactivated and resend the link. Just send me an email to motherhoodonadime @ gmail . com. Thanks! Hi Stacie, thank you so much for this amazing resource. I bought the whole curriculum, and had it printed and bound so am looking forward to starting this with my second child, nearly 4. A question for you – on the first week X marks the spot, day 4 refers to a “God’s word is a treasure sheet” (to be printed on yellow paper for gold coins) but there is no link to it. Have I missed something? Can you please let me know where to find it? Thank you so much. Oh my goodness, I am so sorry, I just found all the printables at the end of the download! Sorry for wasting your time! LOL! Ha, ha…I just went to reply that they are all at the end. No problem! Ask away! ? Hello! I am wondering where the download link is for the letter “X”. THanks so much! I’m not quite sure what you are asking? The link to the lesson plan and printables is at the bottom of the post. Hope that helps! I found this song to go along with God’s word is treasure:https://www.youtube.com/watch?v=cqCgv_CUD_8. A couple of quick questions. We started late, will it mess things up too much if we do the J lessons out of order for Christmas? Also, the skills that are on the assessment form, are all of those covered in this curriculum, or will I need to implement those on my own? Thanks!